“We do not take a trip; a trip takes us,” John Steinbeck noted in his 1962 classic, Travels with Charley. In 2008, Bill Barich decided to explore the mood of the United States as Steinbeck had done almost a half century before. He set off on a 5,943 mile cross-country drive from New York to his old hometown of San Francisco on Route 50, a road twisting through the American heartland. Long Way Home is the stunning result of his pilgrimage. From the Eastern Shore of Maryland to the spectacular landscape of Moab, Utah, to Steinbeck’s own Salinas Valley, the book is filled with memorable encounters and rich in history and local color; a truthful, inspired account of a once-in-a-lifetime trip. It offers an incisive portrait of a nation divided and the grassroots dissatisfaction that ultimately catapulted Donald Trump into the White House. 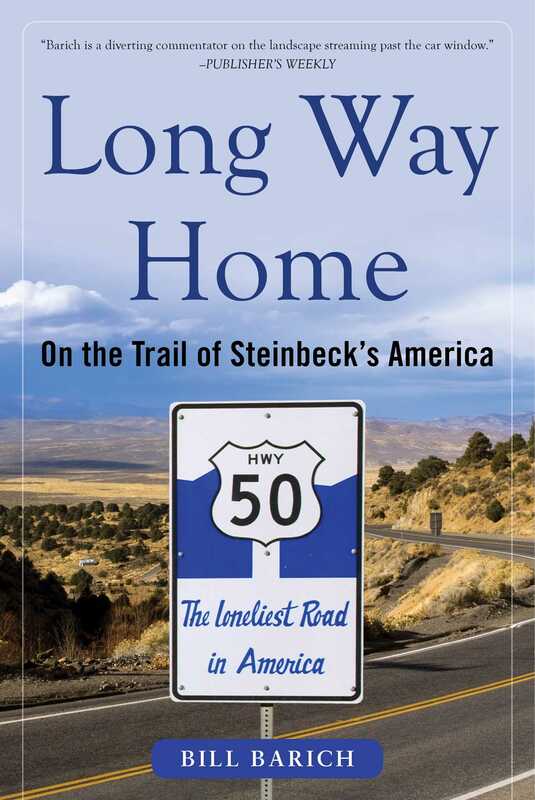 From the Eastern Shore of Maryland to the spectacular landscape of Moab, Utah, to Steinbeck's own Salinas Valley, filled with memorable encounters and redolent with history and local color, Long Way Home is a truthful, inspiring account of the country at a social and political crossroad.